I would like to thank makers of this nice hosting. 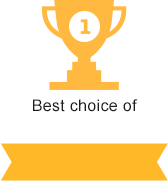 I like the quality of your excellent service, traffic and technical support. I wish you much success and high development. I've been working with ProHoster for almost 5 years now. I started from scratch and the guys always helped me a lot. I am very satisfied with the technical support and the quality of the services provided. It is immediately evident that the company focuses on quality and service and it's worth it. I worked with many companies for this time, but ProHoster is the best! Thank you guys! I worked with many companies - but this is the best. The guys are serious about their work. Support responds quickly to the question. Thank you for the service and quality. I recommend. I have been looking for an adequate platform for a long time. Great that there are not only packages, but also manual control. Cool, that there is a user-friendly interface, everything is simple and clear. Novice user don't have to understand what and where. I would like to tell you a few words about this hoster. It is really great! For long time a could not find good hoster and i found it. Thank you so much for high quality and superb support! 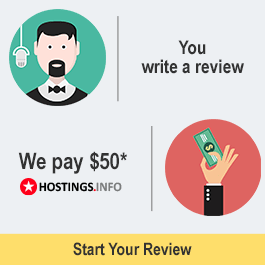 Loved this hosting provider! Best company I've ever had! Technical support works perfectly. At any time when I had a problem or some question the speciasists helped me and consulted in all details. I recommend to everyone! Perfectly! Loved by my family this site. Everything works fast. The load hosting withstands the maximum that we use. Technical support responsive. Thank you very much!!Perfectly! !